If you want to skip the long lines at the mall, but not the experience of having your child meet Santa, a New York-based web chat company has a solution. Paltalk is offering children the opportunity to video-chat one-on-one with the season's most in-demand jelly-bellied star: Santa. Starting Dec. 15, the annual service will be available from 1 p.m. to 11 p.m. every day leading up to Christmas. Children and their parents get into a digital line and wait their turn for some quality time with Santa. All sessions are monitored and everyone in line can watch each session. "It's a wonderful experience for the kids who can visit with Santa, have a chit-chat and sing him a song," Karen Tweed, a Paltalk administrator, told ABCNews.com. "We check with parents for the children's names so Santa knows who he's talking to." 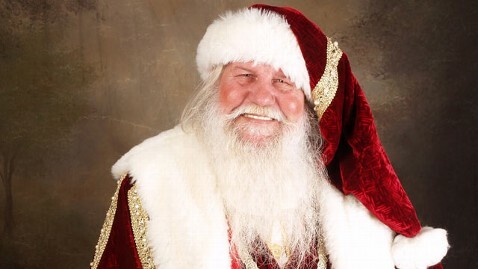 Each Santa has a real beard and professional experience working in malls and other stores. "We have terrific Santas from around the world," Tweed said. "Sometimes he's been questioned on his change of appearance or accent, but he tells them he's practicing for when he goes to whatever place." Tweed is a grandmother of a 2-year-old who rushes to the computer because she knows Santa is coming to visit Grandma's workplace. She said the service also provides a way for far-away family to experience the special moment. "I'm married to a military member, and I have some friends who have military spouses in Afghanistan. This way, they can log on and see their children while they talk to Santa," Tweed said. "It's a wonderful opportunity for parents who are deployed or grandparents to see their children talking to Santa."